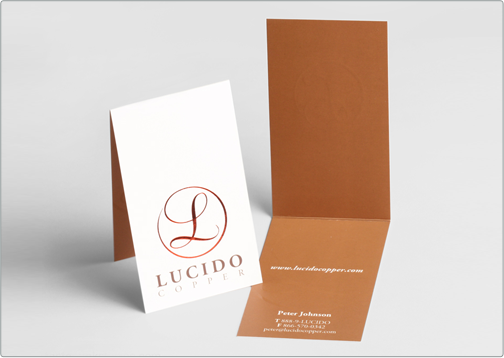 Lucido Copper provides custom copper design and products for their customers. 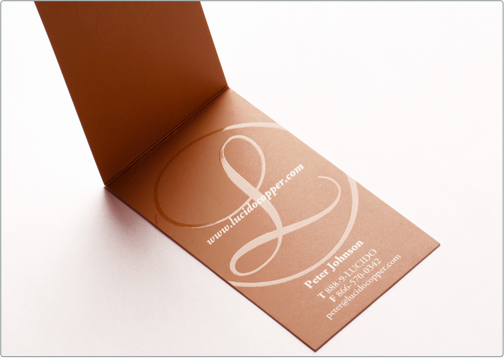 Thus, this folded silk business card contains copper foil stamped into the stock. The flowing brand of Lucido called for a classy and custom business card. We designed the business card to contain spot gloss highlights to integrate the brand in a subtle and minimalist fashion.